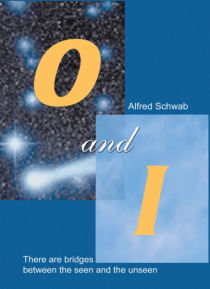 When Alfred Schwab was given the opportunity to meet a contactan incorporeal entity who had been communicating with someone Alfred barely knewhe was skeptical, to say the least. But his curiosity and open mind encouraged him to at least explore the possibility. Orifi, a non-physical being with a special affection for humans, was willing and able to share his insights from beyond our understandin… g. Over the course of many years, he and Alfred shared countless conversations filled with humor and earthly give-and-take. Orifi shared generously about our reality, fate, free will, health, love, religion, and our physical worldpast, present, and future. When Alfred was faced with unimaginable tragedy in the death of his child, he turned to Orifi for guidance and hope. And what Orifi shared allowed the grieving father to view his life experiences in a new and optimistic way. You are never alone, Orifi promised his friend, and that sentiment rings through Alfreds story and words.